The Unrepresented Nations and Peoples Organization (UNPO), in collaboration with the Congress of World Hmong People (CWHP), will organise a 2-day advocacy and human rights training which will take place in Minneapolis, Minnesota. 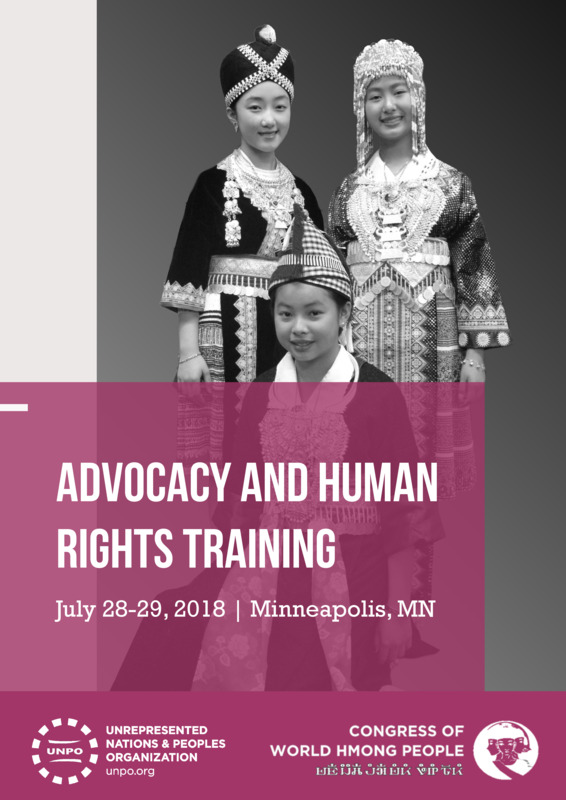 The training will provide Hmong human rights activists living in the US with advocacy skills in order to build their capacity to lobby for the rights of the Hmong community. The different sessions will give participants key advice to develop their advocacy strategies, to communicate them more effectively and to deepen their knowledge of international institutions.